Dansk: Anna Politkovskaja i samtale med Christhard Läpple. Deutsch: Anna Politkovskaja im Gespräch mit Christhard Läpple. 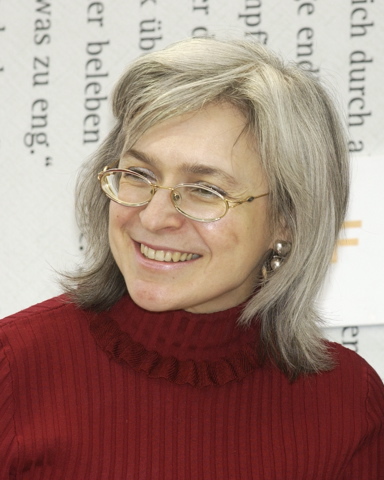 English: Anna Politkovskaya talking with Christhard Läpple. This image, which was originally posted to Flickr, was uploaded to Commons using Flickr upload bot on 4 August 2012, 10:07 by High Contrast. On that date, it was confirmed to be licensed under the terms of the license indicated.